Found 13 file extension associations related to Meshlab and 1 file format developed specifically for use with Meshlab. MeshLab is an open source, portable, and extensible system for the processing and editing of unstructured 3D triangular meshes. The system is aimed to help the processing of the typical not-so-small unstructured models arising in 3D scanning, providing a set of tools for editing, cleaning, healing, inspecting, rendering and converting this kind of meshes. Interactive selection and deletion of portion of the mesh. Even for large models. Painting interface for selecting, smoothing and coloring meshes. Point Clouds support. Now 3D files that are composed only by points are well supported in PLY and OBJ format. U3D support; MeshLab is the first open source tool to provide direct conversion of 3D meshes into the U3D format. Alignment ICP based range map alignment tool, for putting meshes into the same reference space. 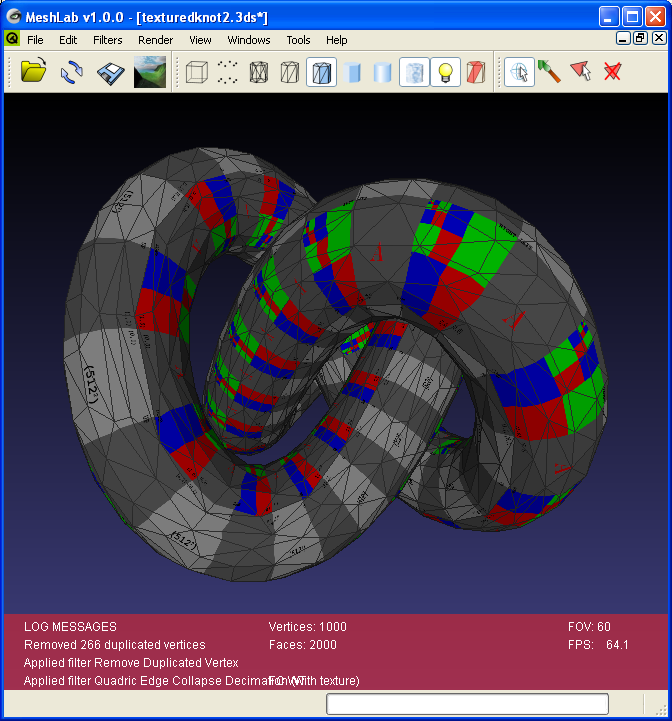 Merging of multiple meshes the Poisson surface reconstruction source code (kindly provided by by Michael Kazhdan and Matthew Bolitho) have been included in. The history of the all performed cleaning/editing actions can be re-played on different meshes or saved and for archival purposes. Extendible plugins based architecture, writing new mesh processing functions, colorization filters and support for different file formats is quite easy! If you need more information please contact the developers of Meshlab (Meshlab project), or check out their product website.